Maj. Comrie inspects the Guard of Honour. The phrase essentially captures his vision for the force that he now commands and the plans to achieve these goals. His words resonated with the large turnout Wednesday who had gathered to witness the first-ever Retirement and Change of Command Ceremony for the organization. Comrie hinted at plans “to build resilience within the institution and focus on rendering assistance to critical departments within the twin-island federation” and promised more details will be revealed at a later date. 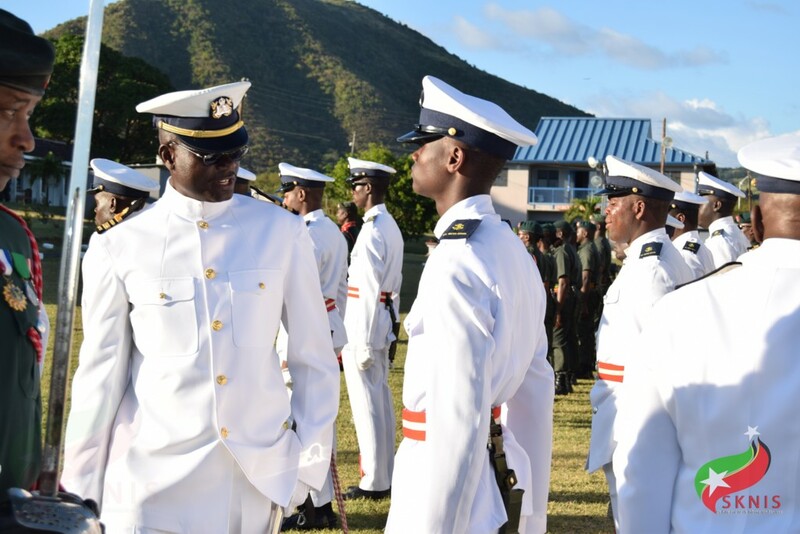 Prime Minister the Honourable Dr. Timothy Harris saluted Comrie for his 30 years of service to the security forces, the last 10 of which was spent as the commander of the Coast Guard Unit. “I was encouraged by the words of the incoming commander to ensure that this high level of collaboration and cooperation across all agencies of law enforcement should continue at a stepped up pace,” Harris said. He wished Maj. Comrie “unmitigated success, confident in the continued support of the government and people” of St. Kitts and Nevis. 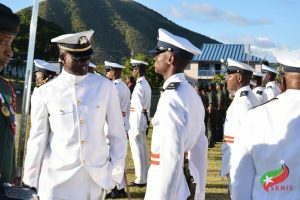 J. Anthony Comrie assumed the post of lieutenant colonel and commander of the St. Kitts-Nevis Defence Force at midnight March 1.